During a family trip to South Lake Tahoe, we hiked to Vikingsholm Hidden Castle and I was mesmerized by the Lightning struck trees. 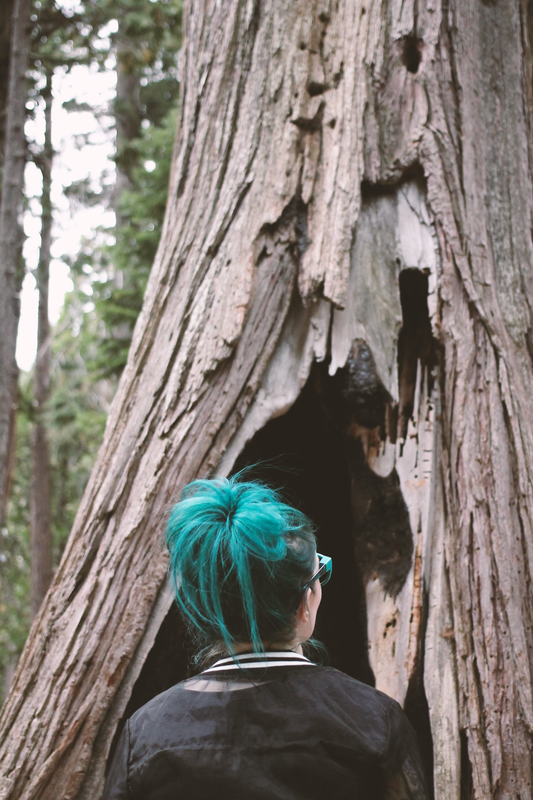 The trees were hallowed out and black on the inside. 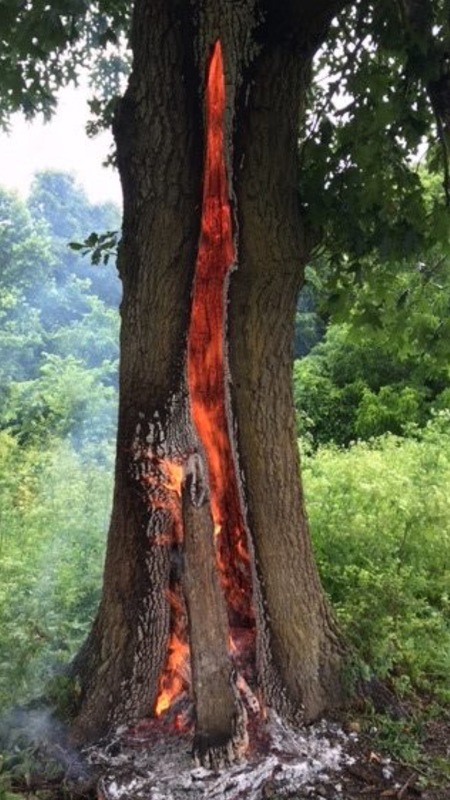 When lightning struck the top of the trees and traveled to the ground, the trees only burned on the inside. I found a picture on Pinterest showing how the trees look when are burning after the lightning strike. Getting there was an adventure. It was a very steep one-mile trail hike from the parking lot located off Highway 89. That's if you're lucky enough to find parking in the parking lot(there were only 30 parking spaces available, and they were all taken well before 8am on a Saturday). If you're looking for weird things to do in South Lake Tahoe, find some of these trees, they survived a lightning strike, which means Thor has to be hiding out in the forest there somewhere!